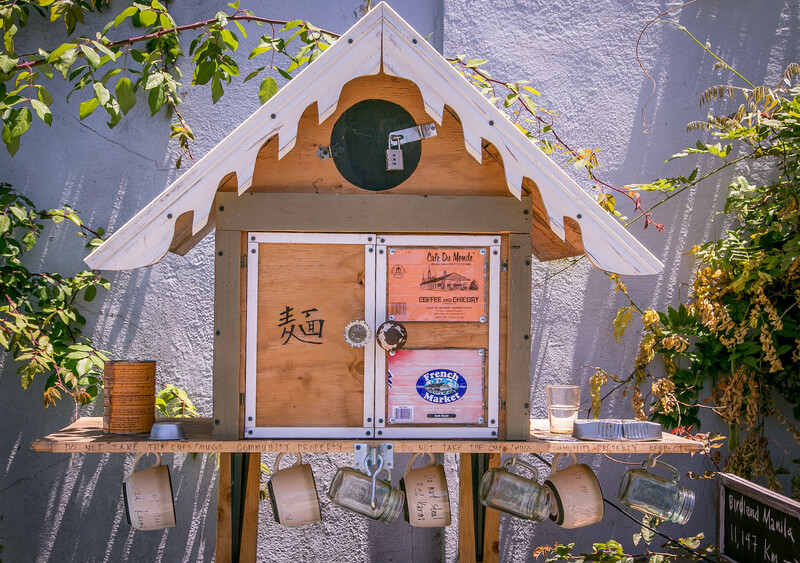 Michael Parayno has been a force for creativity and quirk in Berkeley for years Let’s start with the birdhouses that you see across Sacramento from North Berkeley BART. 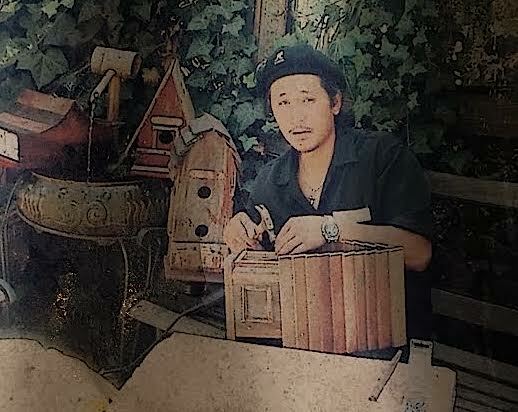 He makes birdhouses from distressed recycled wood, metals, and local driftwood. 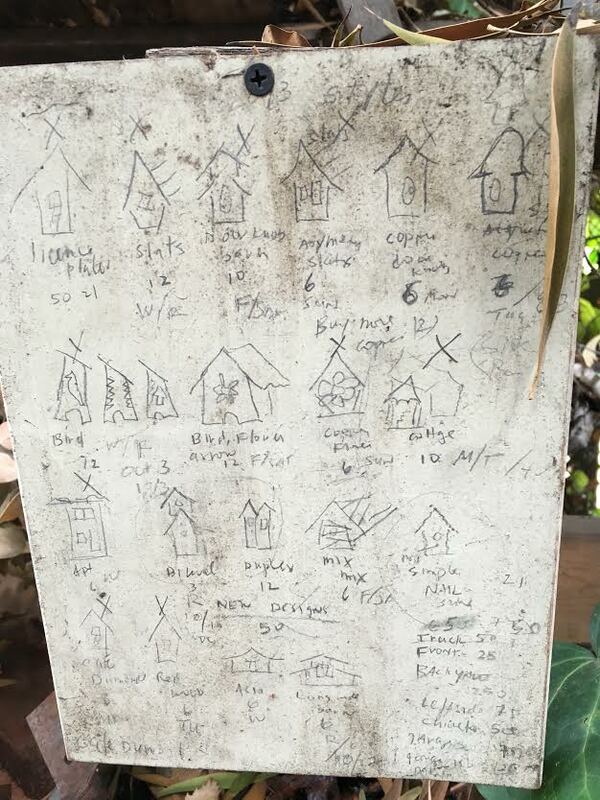 A great pyramid of them rises in front of his house. 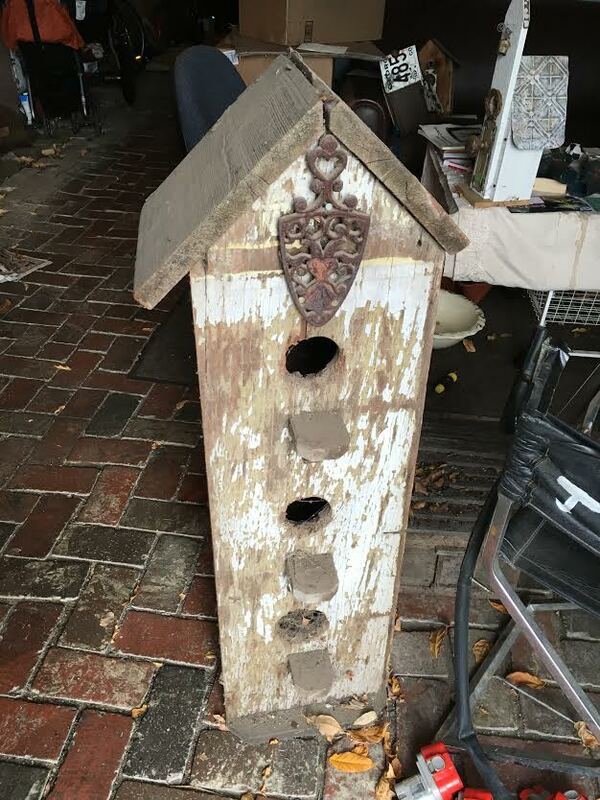 They are for sale. 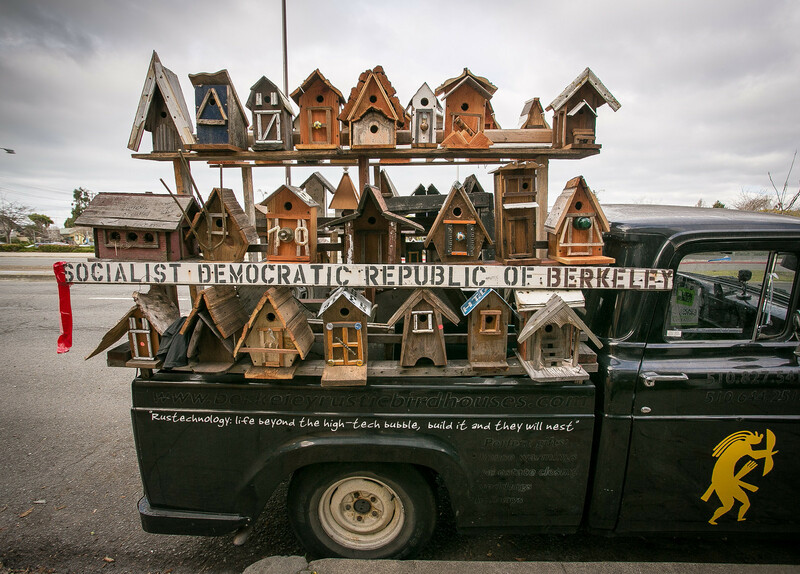 He calls them rustic birdhouses; they reek of eccentricity. 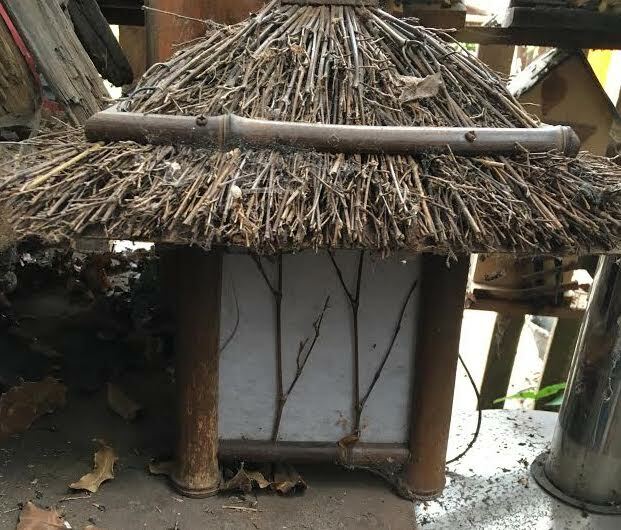 In the middle of a college professor career (Ethnic Studies, Asian Studies), he made his first ten in 2001 when his waste-not-want-not ethic kicked in while taking down an old fence. They were whimsical. 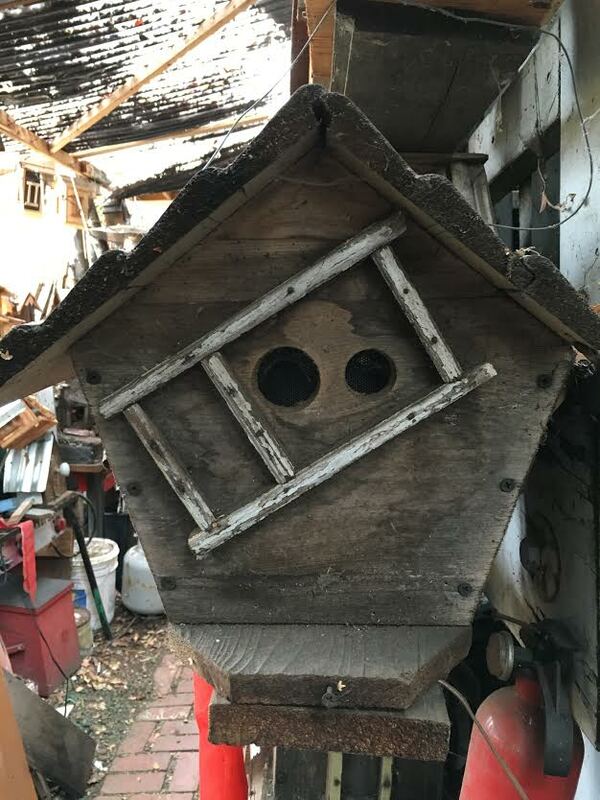 They sold. 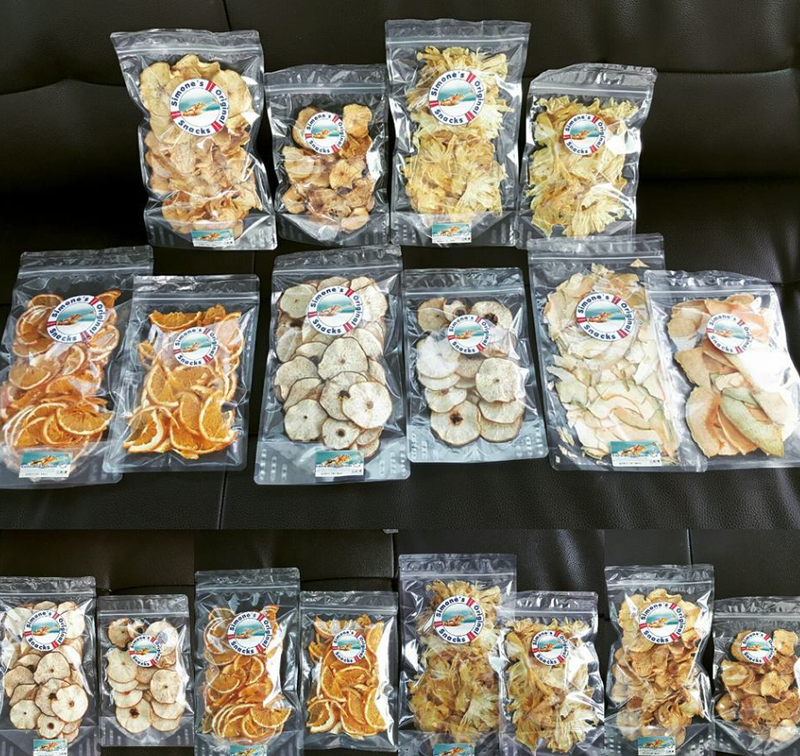 He’s made many more and sold many more. 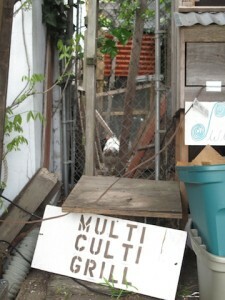 They stand in a pyramid in front of his home/studio on Sacramento. You can walk into his garage and through the ground level of the house. 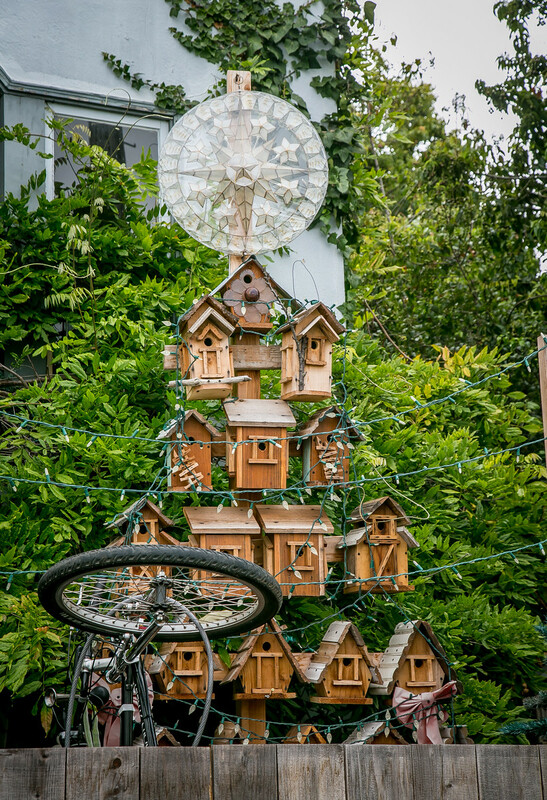 It was dark and I didn’t take photos there, but it is filled with bird houses. As is the tiny strip behind the house. 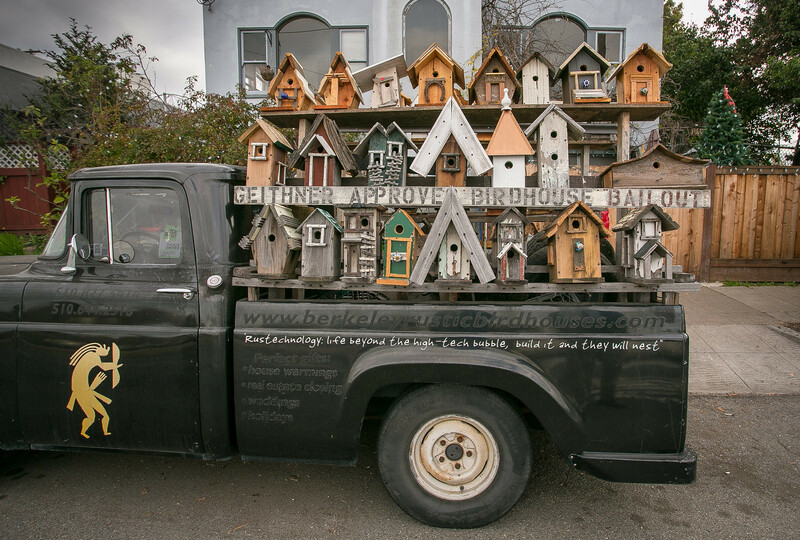 They are stacked on his truck, a moveable studio that is often found on Fourth Street, parked for doing business. 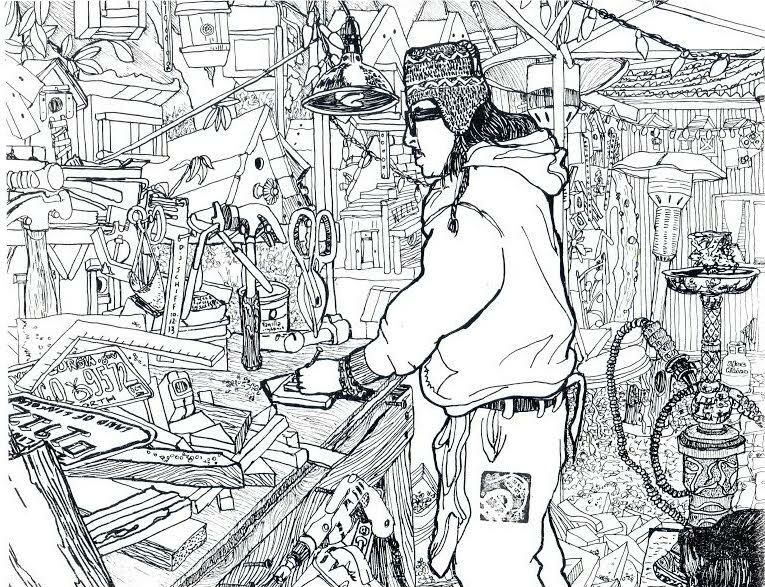 Parayno hands out copies of this drawing of him at work at his bench. There are many styles. Here are a few. 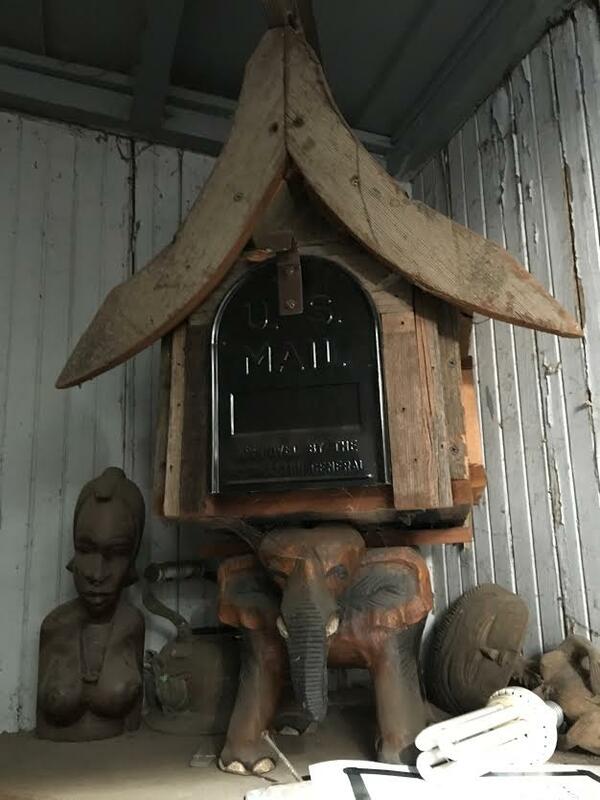 A variation on the theme – birdhouse mailbox. There are many many many more. But you get the idea from these. Lots of different styles. 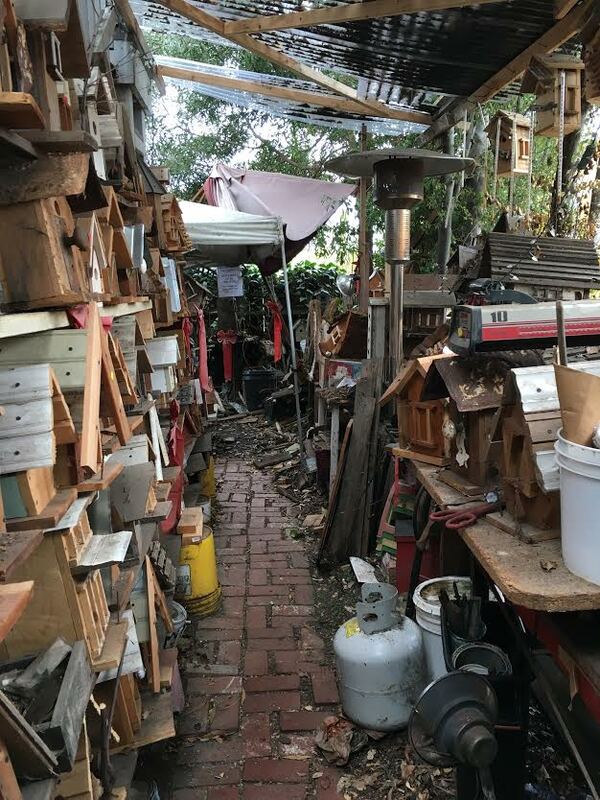 Lots of material repurposed. 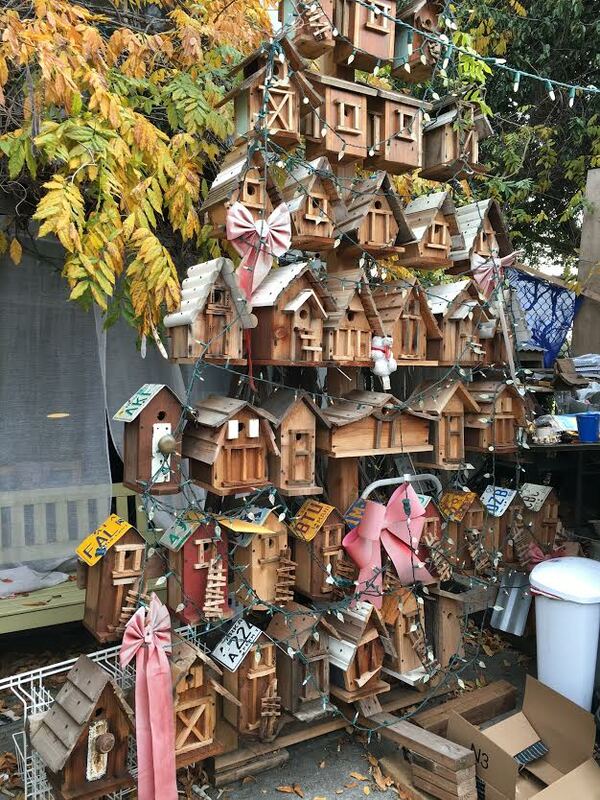 Lots of birdhouses. 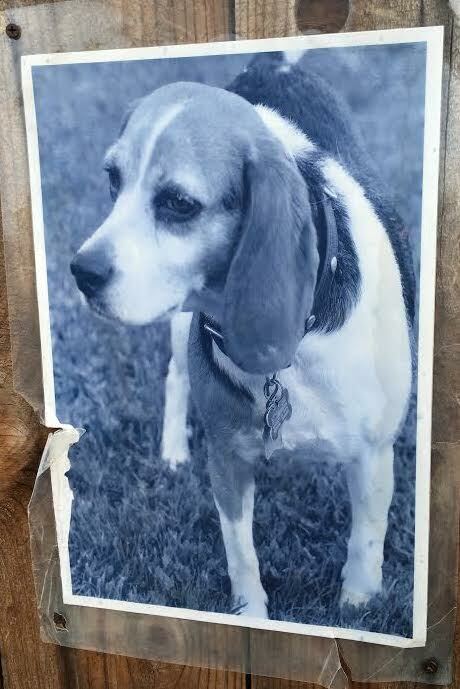 A photograph of the beloved beagle Pinky, recently deceased. 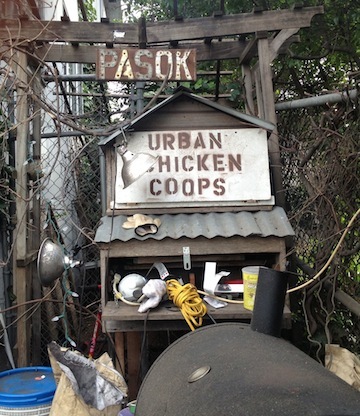 And advertisements for various events and causes (if you consider urban chicken coops to be a cause)(which many do). You see, what happened is this. 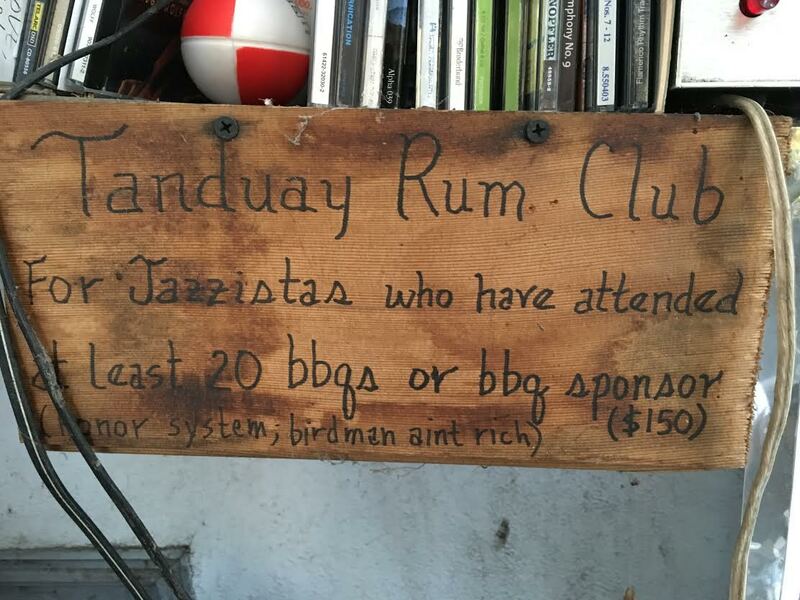 On Memorial Day, 2010, Parayno was grilling and listening to jazz on KCSM. 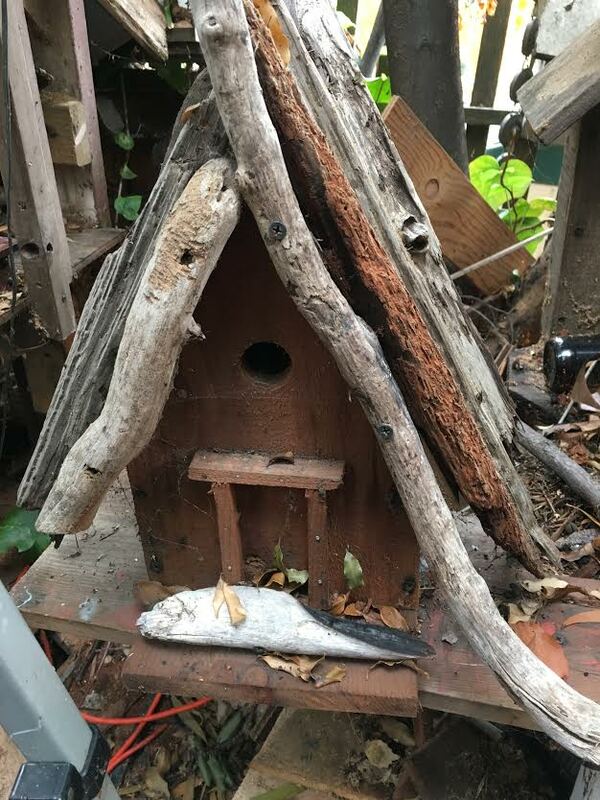 Neighbors said it smelled good. They asked to try. 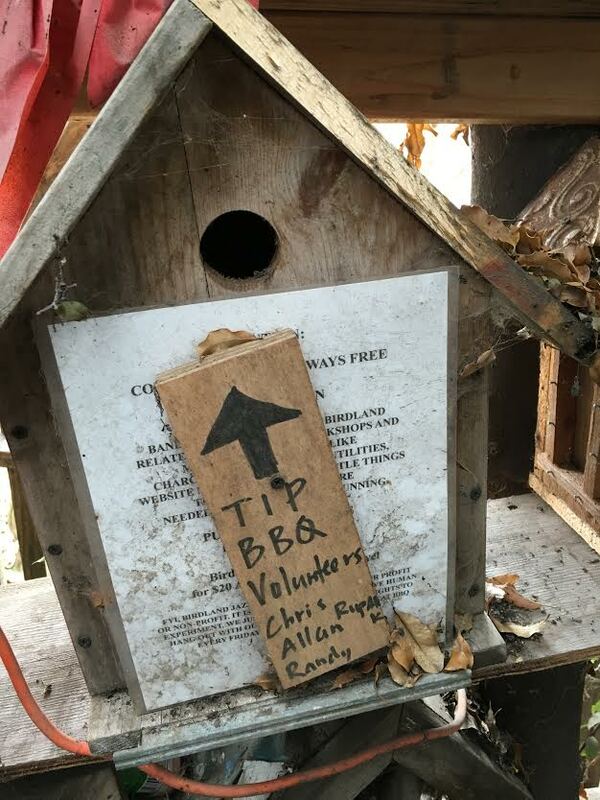 A movement was born! 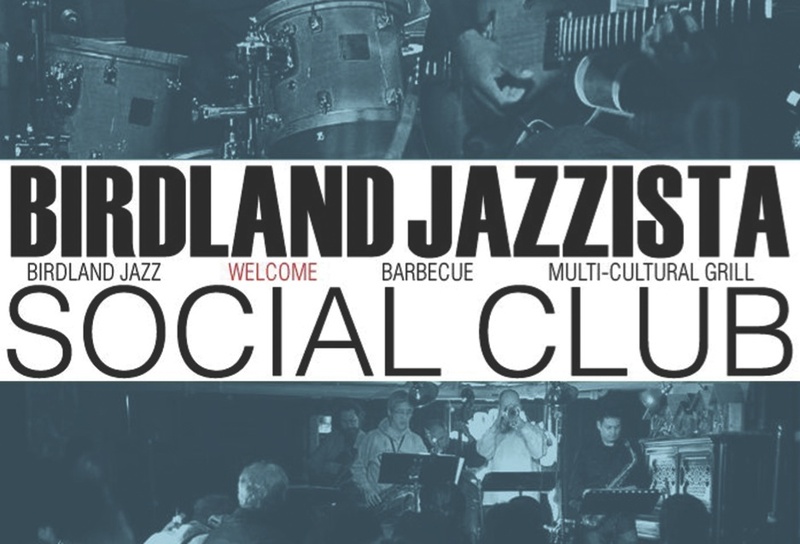 Barbecue plus jazz plus friendship. 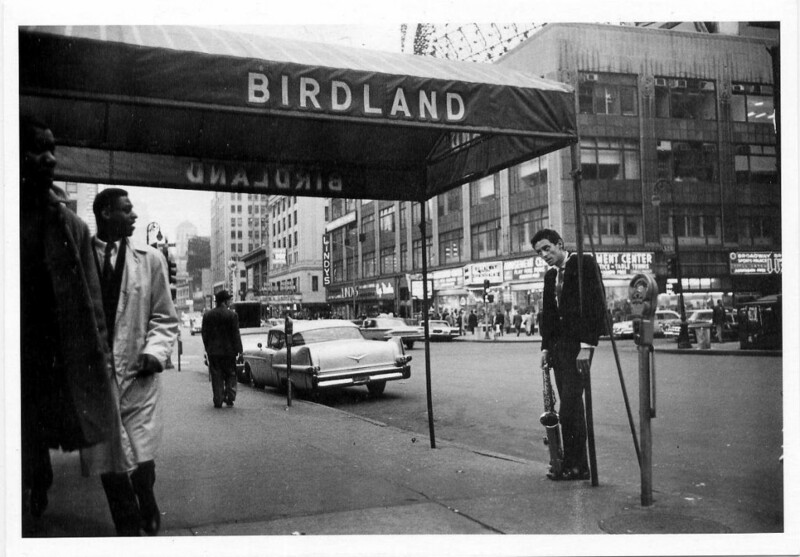 Once upon a time there was a jazz club at 52nd and Broadway in New York named Birdland. It lasted form 1949 until 1965. All the greats played there. 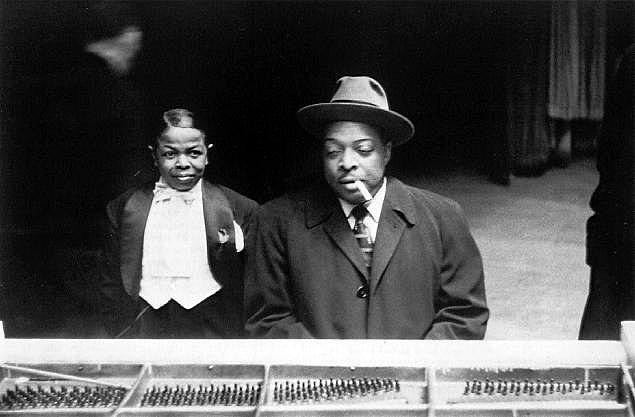 The legendary Pee Wee Marquette was the MC, pictured here with Count Basie. 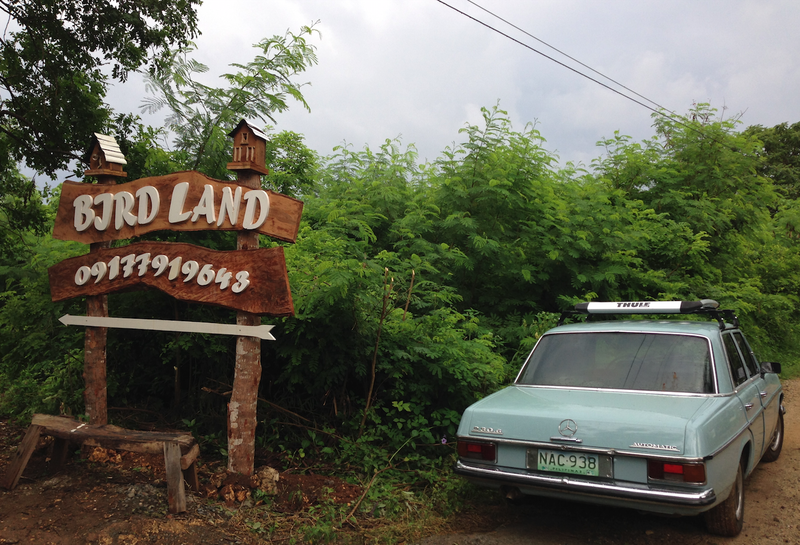 There were a number of people associated with Parayno’s Birdland venture. Among the most fascinating – Dr. Yacine Badian Kouyate of Mali who holds a Ph.D. in Molecular Biology from the University of California at Davis, and a Master of Science in Genetics from Moscow State University in Russia. He has conducted and published scientific research in academia and the biotechnology industry in the areas of plant virus interaction, genetics and immunodiagnostics including a patented method and device for HIV analysis and research. Relevant how? 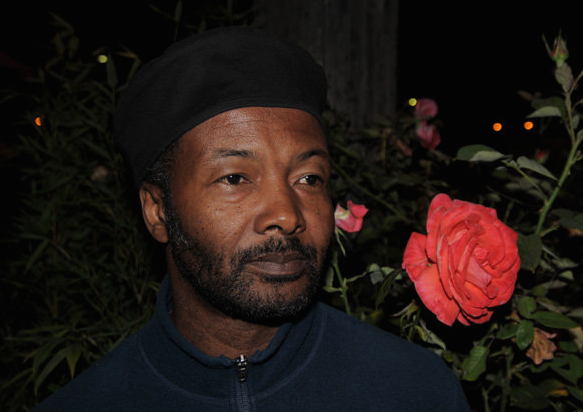 Well, Kouyate – whom Parayno described as Birdland’s spiritual guide – is a student of cultural history, emphasis on the traditions of the Bambara and Dogon peoples. And he plays the Mali blues. So what happened? What could possibly go wrong? Parayno was, if you can believe it, too free for Berkeley. 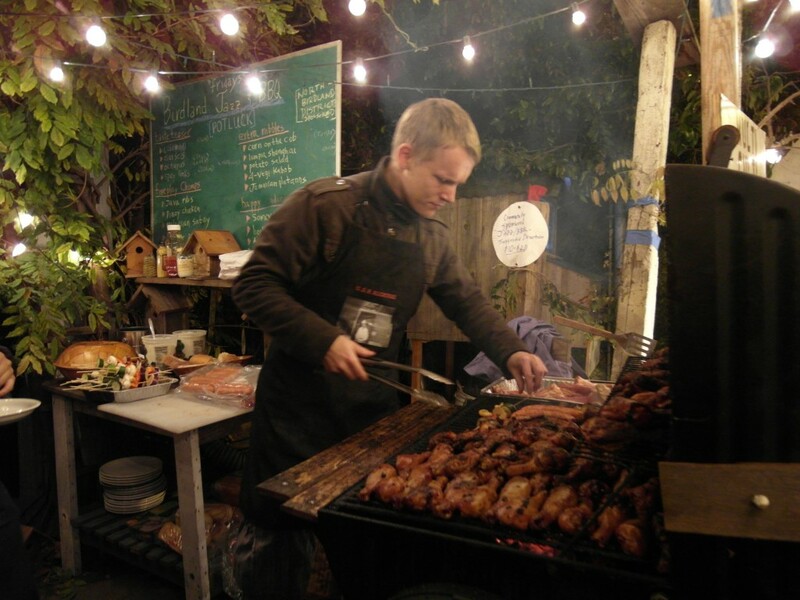 Even our loosey-goosey city could not tolerate his fast-and-free ways with crowds and food. Too much fun! 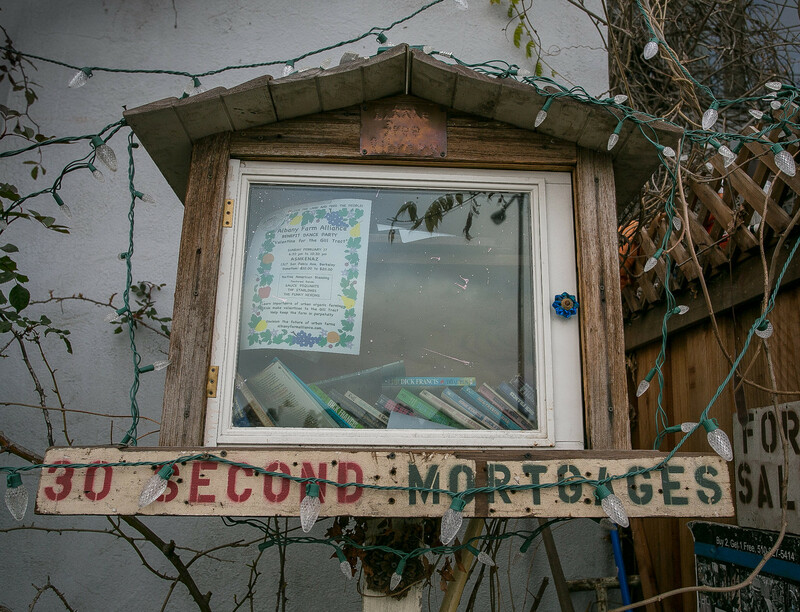 There are rumors of fines from the City closer to $40,000 than $30,000. He threatened to leave over and over, leading my friend Cliff Stanely to liken his exit to a James Brown exit from the stage – long and extended and dramatic. But, finally, in early 2013 he left for Manila. More freedom there I guess. I was afraid that he was gone for good. But, thankfully, he has come back, but not as full-time as he was before. His ties here are more tenuous. No more teaching ethnic studies at local colleges. No more wage slave nothing. 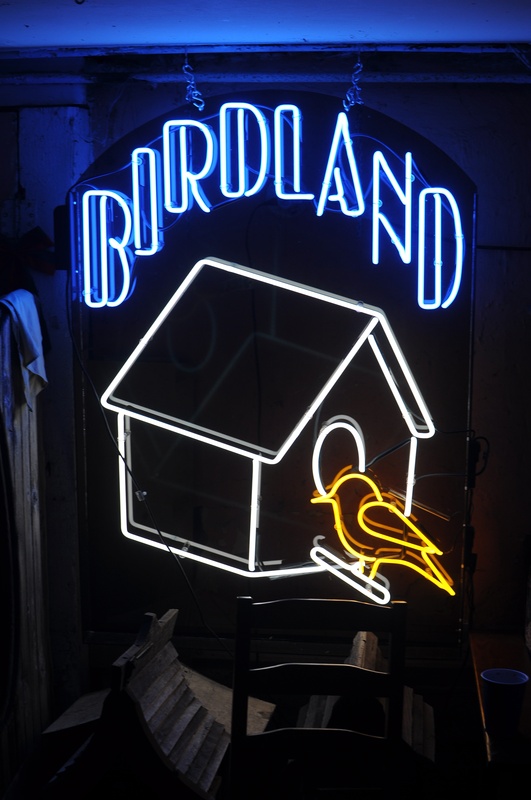 And Birdland like Lazarus rose from the dead, It now exists in the friendlier turf of Oakland, at 4318 MLK Way, Oakland. 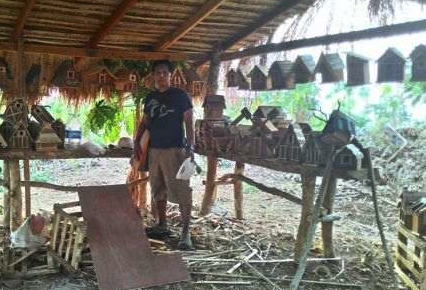 These days, Paryano is spending much of his time and energy in the Philippines. 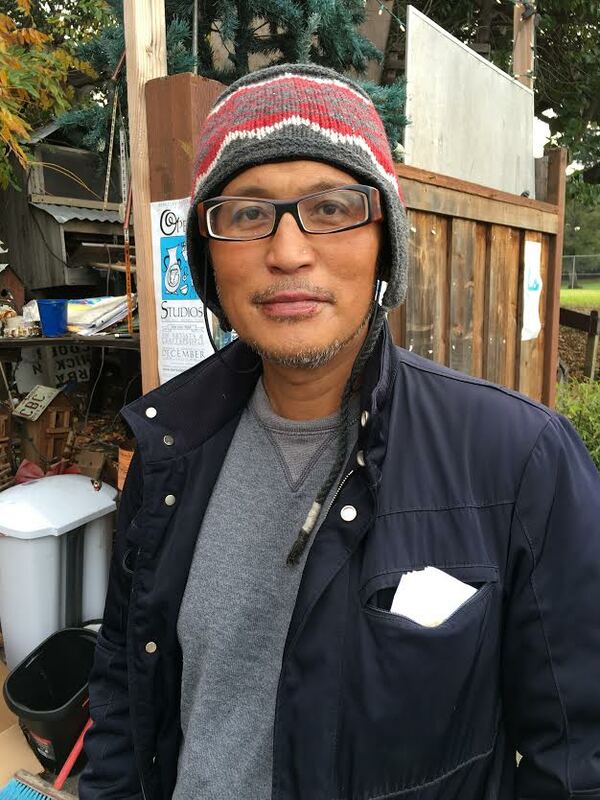 He lived there until he was ten years old, when his parents brought him to the United States. 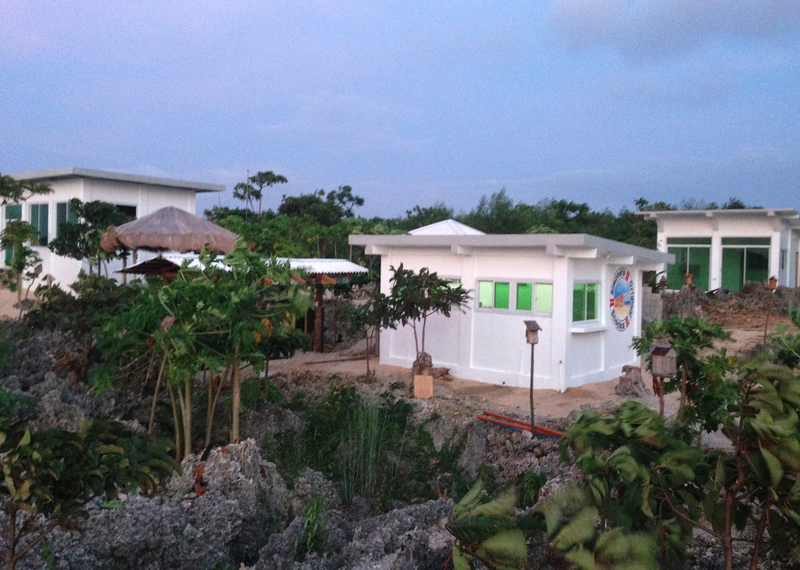 He is building a resort in Bolinao, Pangasinan Province. 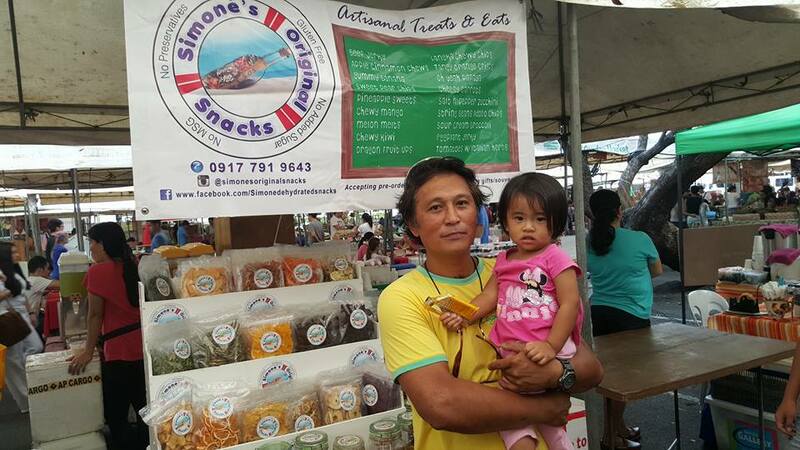 Michael Parayno and daughter Michaela Simone. 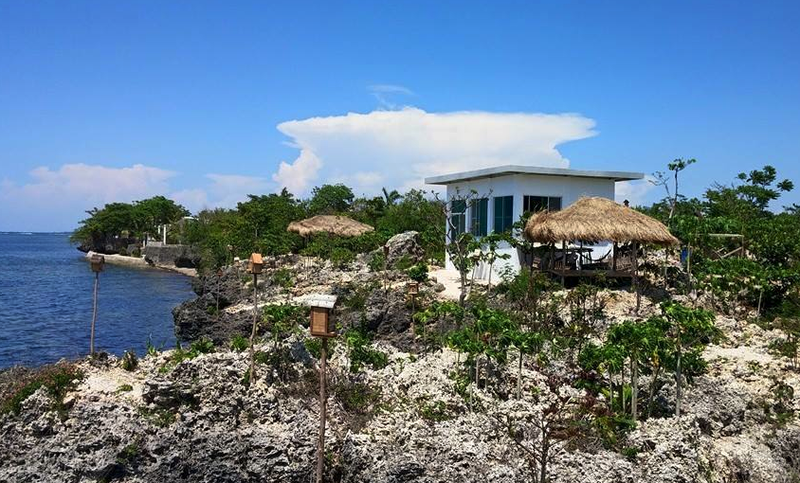 Photo courtesy Michael Parayno. 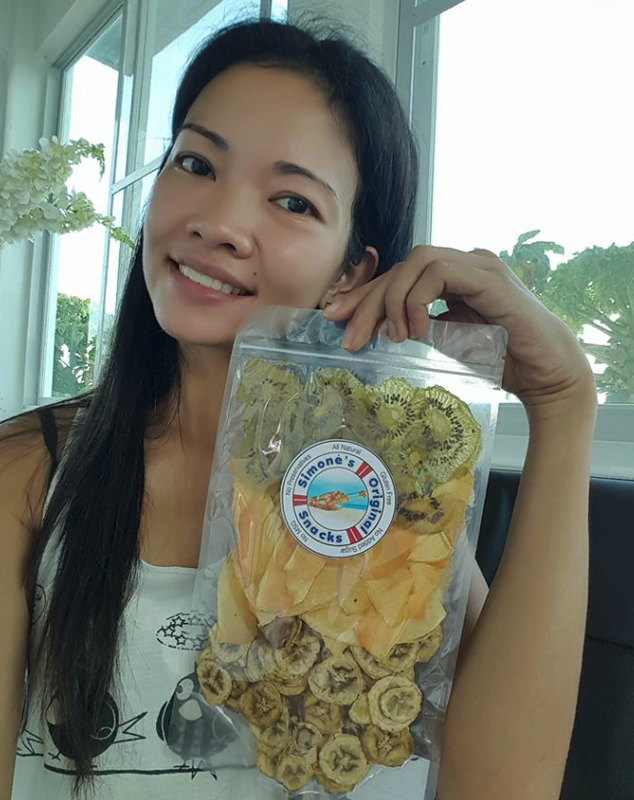 They also run a dehydrating food factory supplying local stores and markets, online shops, and selling the dried fruits and vegetable sat farmer’s markets in Manila. 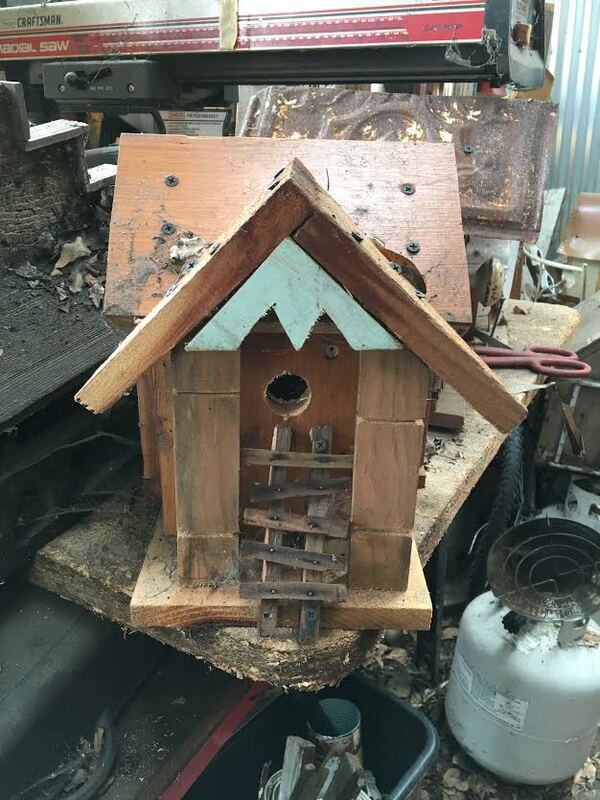 In January 2016, Parayno pulled up stakes – sold the truck and taxis and moved out the birdhouses and put the house on the market. I liked talking with Parayno. Like many of the other quirkophiles I have met, he groks things that we don’t even see. Talking with him opens the window, if only a little, to another way of living. 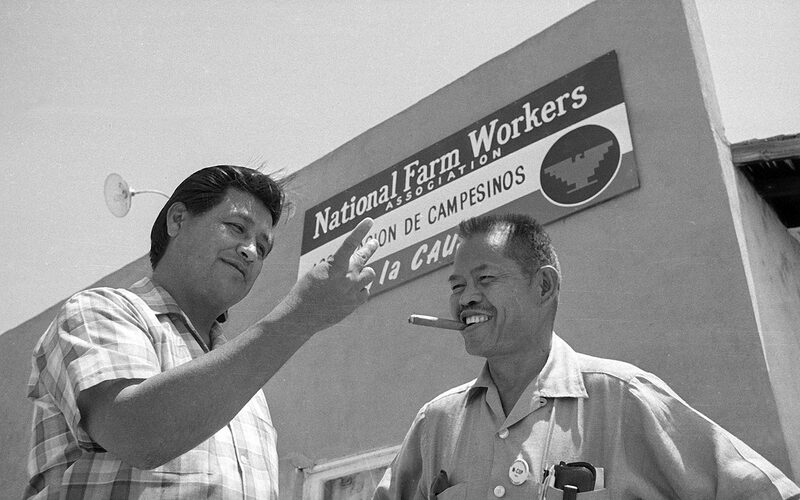 We had a common point of reference – the Filipino leaders of the Agricultural Workers Organizing Committee (AWOC), one of the two groups that merged to form the United Farm Workers. When I worked for the United Farm Workers (1968-1980), I had a strong and affectionate relationship with our older Filipino members. And I strongly admired Larry Itliong, the fiercest of the four prominent Filipino union leaders. I spent time with all four over the years. Itliong was there and a strong presence when I was in Delano in 1968. 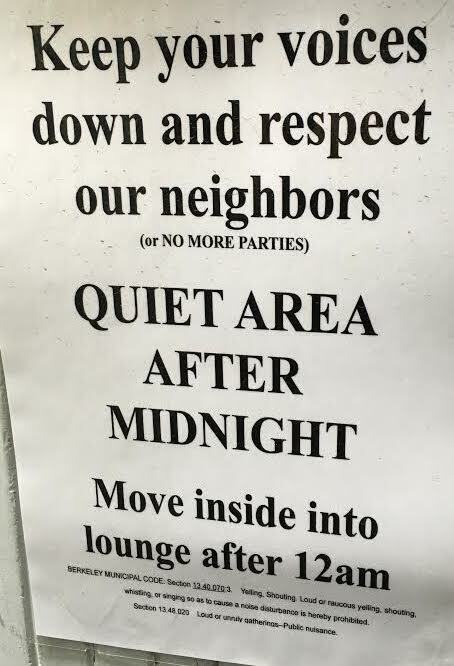 He was gone when I got back in 1972. Parayno agreed about Itliong’s leadership. 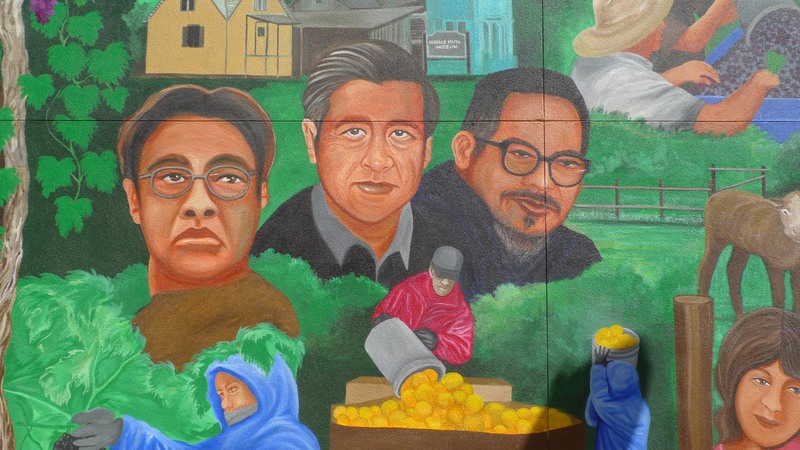 Itliong is on the right in this relatively new mural in Delano. 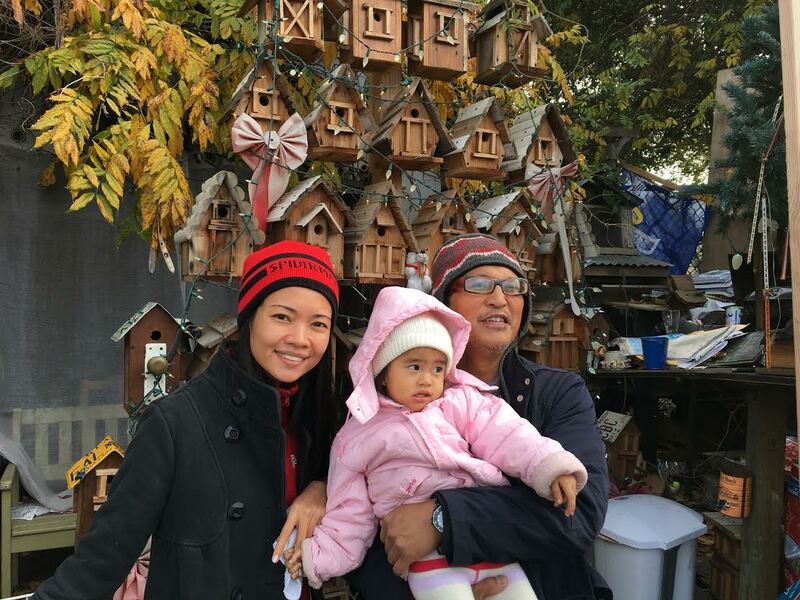 Parayno stands in front of the pyramid of birdhouses/ temple of quirk with his wife Joanna and daughter Michaela Simone. 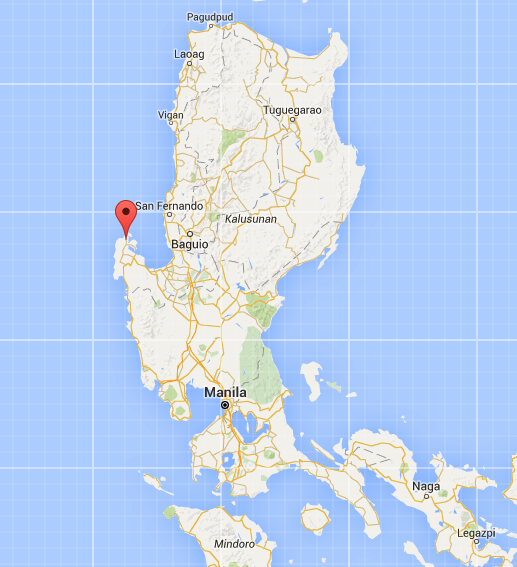 It was December – I didn’t think it was that cold out, but if you are used to the Philippines, it was cold. 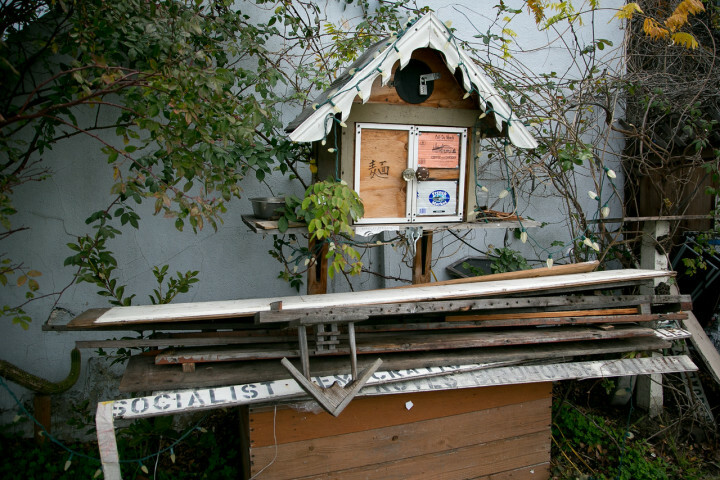 Parayno makes me think about the relationship between the people who make Berkeley quirky and authority. Some exist on a plane that doesn’t concern itself with authority, either informed by Buddhism or a less precise belief system. They are not anti-authoritarian because it isn’t an axis they even consider. Some have a nuanced relationship with authority – fiercely individualistic, yet not eager to fight The Man. And there are those who resist authority. Frederic Fierstein is one, exemplified by his prolonged battle with the City over his Guardian sculpture at the Marina. Parayno is towards this end of the spectrum, although his decisions over the last few years seem to have been more geared to finding authority with whom he can coexist. 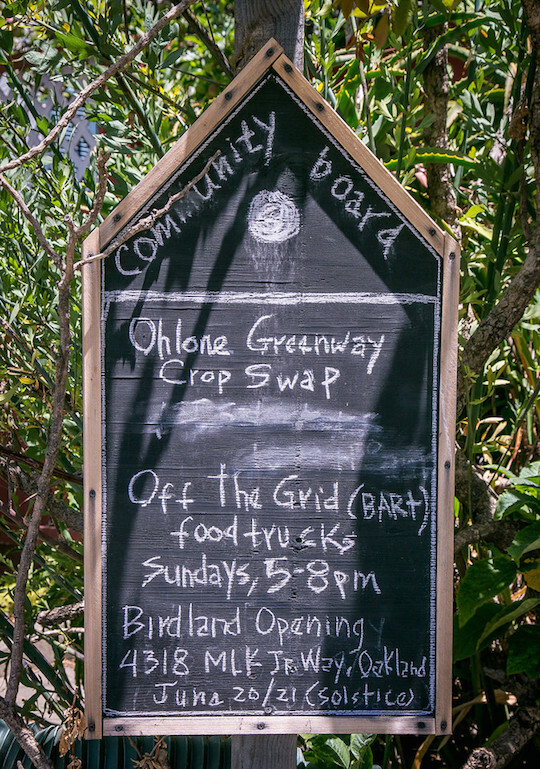 The City of Oakland and the Philippine governments are much more amenable to his vision than was the City of Berkeley. Which is our loss. 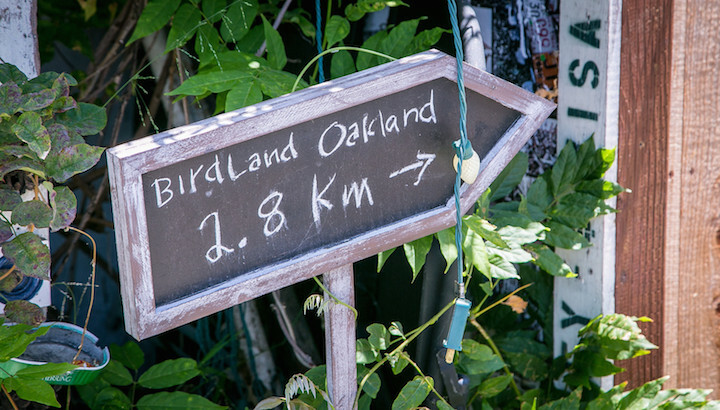 Birdland in Berkeley was freedom personified. We, through our electeds, chased it away. Too bad. Parayno will be free wherever he is. 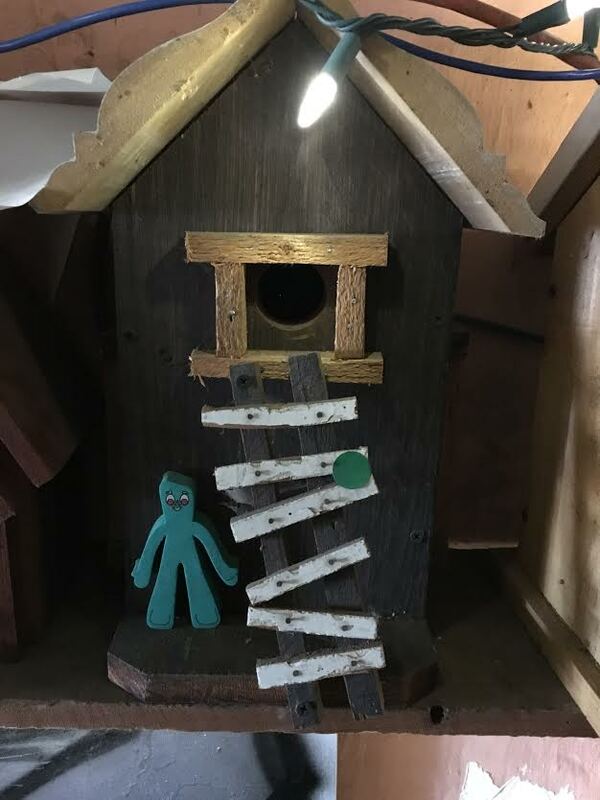 He will create quirky things wherever he is. I showed the photos to my friend. 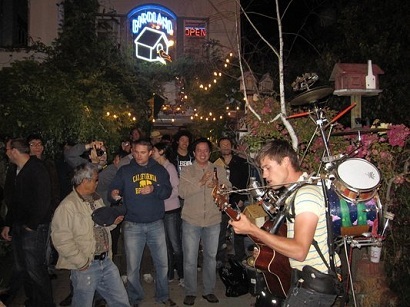 He went to as many of the Birdland events as he could when it was still in Berkeley. “Righteous cat” is what he says about Parayno. 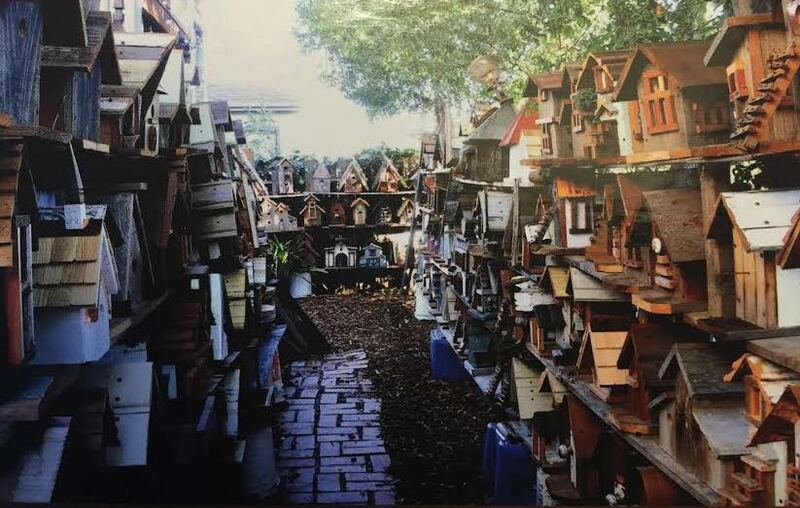 I asked about the photos here, the birdhouses etc. 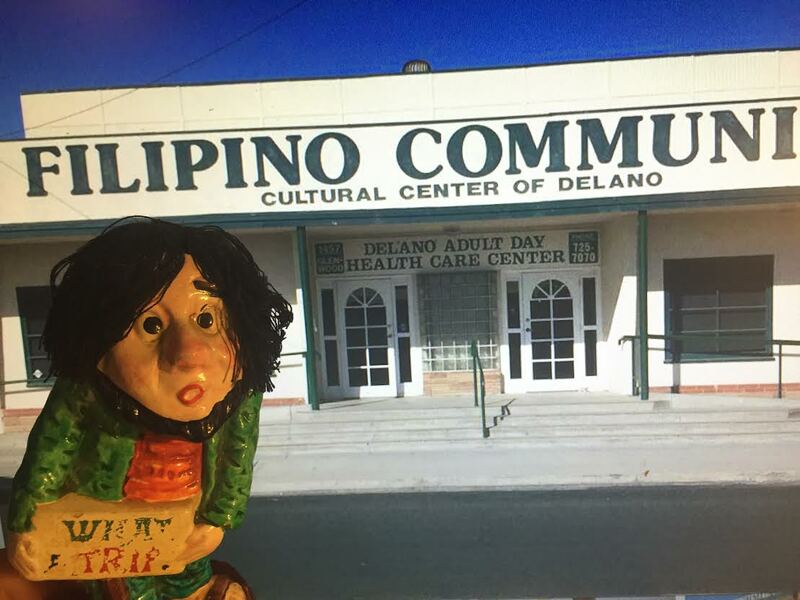 In response, he retrieved a photo that of him taken in front of what we called the Filipino Hall in Delano when he visited there last summer. It was the heart of the UFW until Cesar moved the headquarters about into the Tehachapi Mountains in 1971. I have powerful memories of meals and meetings there. My friend liked playing cards and dominoes with the manong. His verdict on the photos? 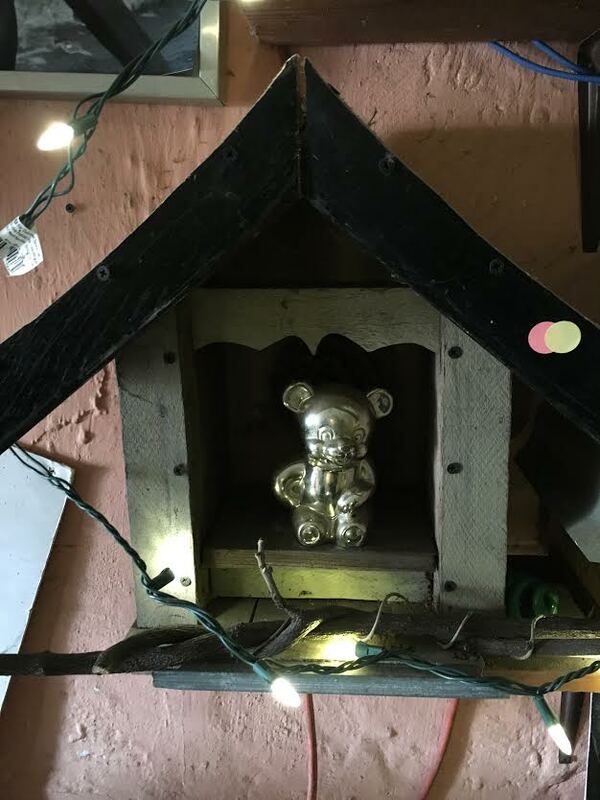 I teach a special day class for students as Oakland Technical High School and I was wondering if you would be willing to come by to talk with my small group of students about the ups and downs of being both a local artesan / small business owner/ entrepreneur. I have admire your work for many years and would like to share what you have done with kids who struggle with reading / writing. 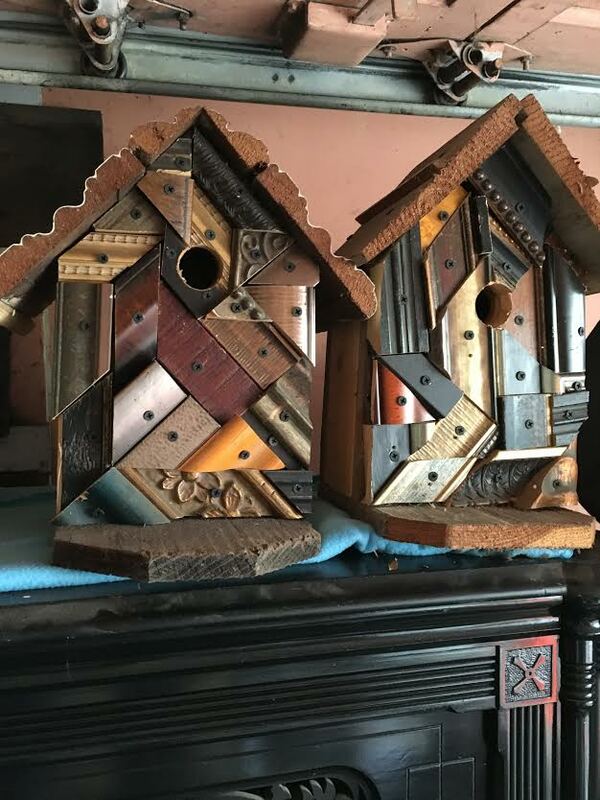 PS :who knows perhaps I could put some bird houses together with them later .